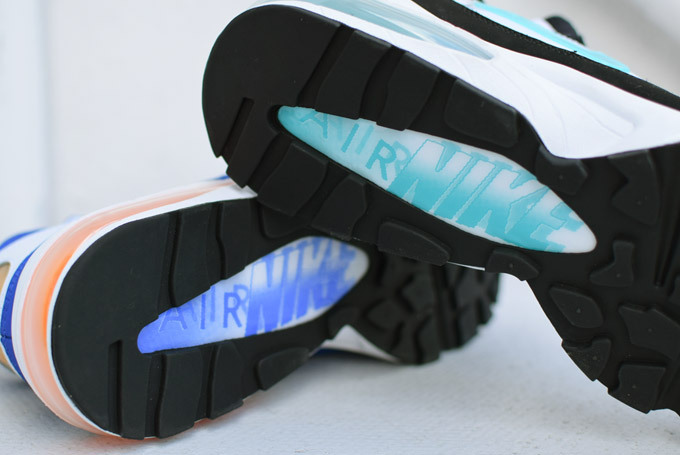 Beauty shots of the upcoming OG looks for the Air Max '93 retro. 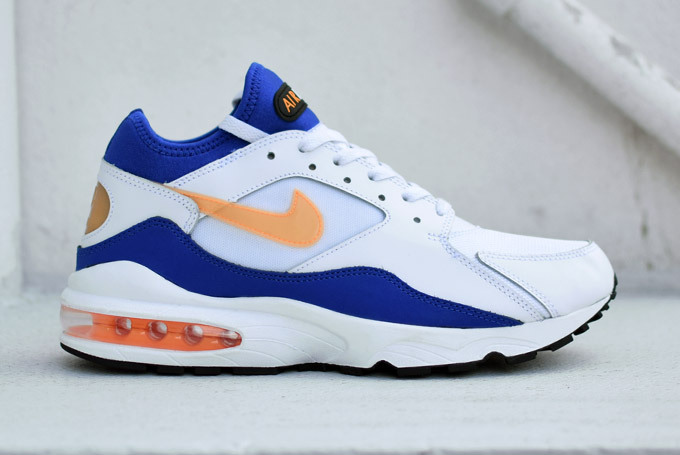 Fans of perhaps the most underrated Air Max model ever are rejoicing this summer. 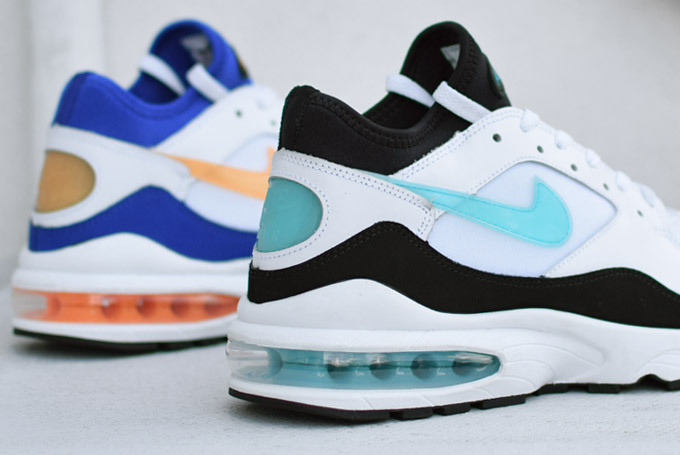 That's because we are finally treated to another return of the Air Max '93 in two of its glorious original colorways: the "Menthol" and "Citrus" looks. Today we get our best look yet at the anticipated upcoming OG colorways compliments of Crooked Tongues. 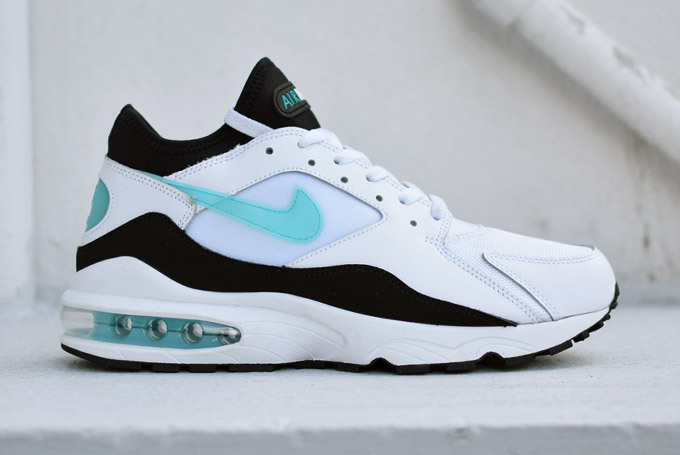 Tinker Hatfield's favorite of his own Air Max designs, the Air Max 93 blended performance and style perfectly with a lightweight mesh and synthetic leather upper with the dynamic fit of the Huarache-style Neoprene collar. 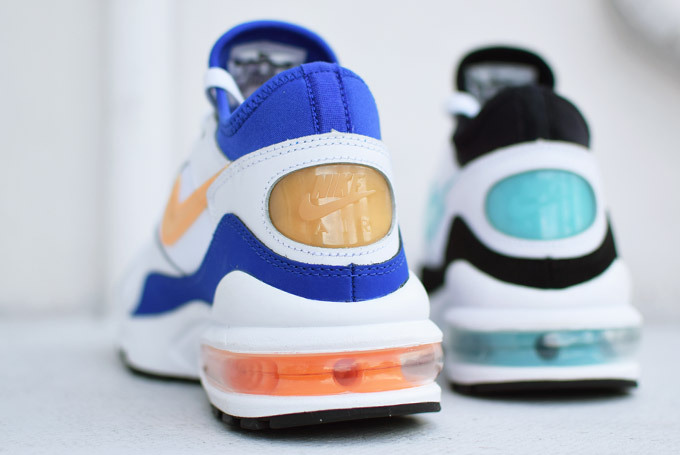 It's final defining is, of course, the giant Air Max bubble in the heel. While the bubble may be smaller on the new retro compared to the OG (and the 2003 versions, for that matter), the rest of the shoe is accurate enough that it should keep "not as good as the OG" complaints to a minimum. 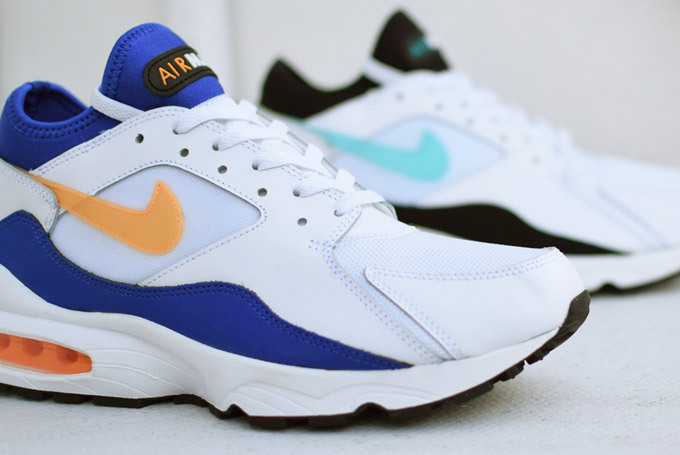 Expect the Air Max 93 in the "Menthol" (now dubbed 'Dusty Cactus') and "Citrus" colorways to be available at select Nike Sportswear retailers, like Crooked Tongues, beginning in July.